Regeneration, Repentance and Reformation | Promoting experiential, reformational Christianity. Put together and published by Andrew Bonar, 1894. “For I delight in the law of God after the inward man: but I see another law in my members warring against the law of my mind, and bringing me into captivity to the law of sin which is in my members. O wretched man that I am! Who shall deliver me from the body of this death? I thank God, through Jesus Christ our Lord. So then with the mind I myself serve the law of God, but with the flesh the law of sin.” —Romans. 7:22–25. To help you to settle this question, I have chosen the subject of the Christian’s warfare that you may know thereby whether you are a soldier of Christ— whether you are really fighting the good fight of faith. I. A believer delights in the law of God.—“I delight in the law of God after the inward man,” ver. 22. (1.) Before a man comes to Christ, he hates the law of God—his whole soul rises up against it. “The carnal mind is enmity,” etc., 8:7. First, Unconverted men hate the law of God on account of its purity. “Thy word is very pure, therefore thy servant loveth it.” For the same reason worldly men hate it. The law is the breathing of God’s pure and holy mind. It is infinitely opposed to all impurity and sin. Every line of the law is against sin. But natural men love sin, and therefore they hate the law, because it opposes them in all they love. As bats hate the light, and fly against it, so unconverted men hate the pure light of God’s law, and fly against it. Second, They hate it for its breadth. “Thy commandment is exceeding broad.” It extends to all their outward actions, seen and unseen; it extends to every idle word that men shall speak; it extends to the looks of their eye; it dives into the deepest caves of their heart; it condemns the most secret springs of sin and lust that nestle there. Unconverted men quarrel with the law of God because of its strictness. If it extended only to my outward actions, then I could bear with it; but it condemns my most secret thoughts and desires, which I cannot prevent. Therefore ungodly men rise against the law. Third, They hate it for its unchangeableness. Heaven and earth shall pass away, but one jot or one tittle of the law shall in no wise pass away. If the law would change, or let down its requirements, or die, then ungodly men would be well pleased. But it is unchangeable as God: it is written on the heart of God, with whom is no variableness nor shadow of turning. It cannot change unless God change; it cannot die unless God die. Even in an eternal hell its demands and its curses will be the same. It is an unchangeable law, for He is an unchangeable God. Therefore ungodly men have an unchangeable hatred to that holy law. First, The law is no longer an enemy.—If any of you who are trembling under a sense of your infinite sins, and the curses of the law which you have broken, flee to Christ, you will find rest. You will find that He has fully answered the demands of the law as a surety for sinners; that He has fully borne all its curses. You will be able to say, “Christ hath redeemed me from the curse of the law, being made a curse for me, as it is written, Cursed,” etc. You have no more to fear, then, from that awfully holy law: you are not under the law, but under grace. You have no more to fear from the law than you will have after the judgment-day. Imagine a saved soul after the judgment-day. When that awful scene is past; when the dead, small and great, have stood before that great white throne; when the sentence of eternal woe has fallen upon all the unconverted, and they have sunk into the lake whose fires can never be quenched; would not that redeemed soul say, I have nothing to fear from that holy law; I have seen its vials poured out, but not a drop has fallen on me? So may you say now, O believer in Jesus! When you look upon the soul of Christ, scarred with God’s thunderbolts; when you look upon his body, pierced for sin, you can say, He was made a curse for me; why should I fear that holy law? Second, The Spirit of God writes the law on the heart.—This is the promise: “After those days, saith the Lord, I will put my law in their inward parts, and write it in their hearts; and will be their God, and they shall be my people.” Jer. 31:33. Coming to Christ takes away your fear of the law; but it is the Holy Spirit coming into your heart that makes you love the law. The Holy Spirit is no more frightened away from that heart; He comes and softens it; He takes out the stony heart and puts in a heart of flesh; and there He writes the holy, holy, holy law of God. Then the law of God is sweet to that soul; he has an inward delight in it. “The law is holy, and the commandment holy, and just, and good.” Now he unfeignedly desires every thought, word, and action to be according to that law. “Oh that my ways were directed to keep thy statutes: great peace have they that love thy law, and nothing shall offend them.” The 119th Psalm becomes the breathing of that new heart. Now also he would fain see all the world submitting to that pure and holy law. “Rivers of waters run down mine eyes because they keep not thy law.” Oh that all the world but knew that holiness and happiness are one! Oh that all the world were one holy family, joyfully coming under the pure rules of the gospel! Try yourselves by this. Can you say, “I delight,” etc.? Do you remember when you hated the law of God? Do you love it now? Do you long for the time when you shall live fully under it—holy as God is holy, pure as Christ is pure? Oh come, sinners, and give up your hearts to Christ, that He may write on it his holy law! You have long enough had the devil’s law graven on your hearts: come you to Jesus, and He will both shelter you from the curses of the law, and He will give you the Spirit to write all that law in your heart; He will make you love it with your inmost soul. Plead the promise with Him. Surely you have tried the pleasures of sin long enough. Come, now, and try the pleasures of holiness out of a new heart. If you die with your heart as it is, it will be stamped a wicked heart to all eternity. “He that is unjust, let him be unjust still; and he that is filthy, let him be filthy still.” Rev. 22:11. Oh come and get the new heart before you die; for except you be born again, you cannot see the kingdom of God! (1.) Observe what he calls it—“another law;” quite a different law from the law of God; a law clean contrary to it. He calls it a “law of sin,” ver. 25; a law that commands him to commit sin, that urges him on by rewards and threatenings—“a law of sin and death,” 8:2; a law which not only leads to sin, but leads to death, eternal death: “the wages of sin is death.” It is the same law which, in Galatians, is called “the flesh:” “The flesh lusteth against the Spirit,” etc., Gal. 5:17. It is the same which, in Eph. 4:22, is called “the old man,” which is wrought according to the deceitful lusts; the same law which in Col. 3 is called “your members”—“Mortify, therefore, your members, which are,” etc. ; the same which is called “a body of death,” Rom. 7:24. The truth then is, that in the heart of the believer there remains the whole members and body of an old man, or old nature: there remains the fountain of every sin that has ever polluted the world. Is Satan ever successful? In the deep wisdom of God the law in the members does sometimes bring the soul into captivity. Noah was a perfect man, and Noah walked with God, and yet he was led captive. “Noah drank of the wine, and was drunken.” Abraham was the “friend of God,” and yet he told a lie, saying of Sarah his wife, “She is my sister.” Job was a perfect man, one that feared God and hated evil, and yet he was provoked to curse the day wherein he was born. And so with Moses, and David, and Solomon, and Hezekiah, and Peter, and the apostles. First. Have you experienced this warfare? It is a clear mark of God’s children. Most of you, I fear, have never felt it. Do not mistake me. All of you have felt a warfare at times between your natural conscience and the law of God. But that is not the contest in the believer’s bosom. It is a warfare between the Spirit of God in the heart, and the old man with his deeds. Second, If any of you are groaning under this warfare, learn to be humbled by it, but not discouraged. 1st, Be humbled under it.—It is intended to make you lie in the dust, and feel that you are but a worm. Oh! what a vile wretch you must be, that even after you are forgiven, and have received the Holy Spirit, your heart should still be a fountain of every wickedness! How vile, that in your most solemn approaches to God, in the house of God, in awfully affecting situations, such as kneeling beside the death-bed, you should still have in your bosom all the members of your old nature! Let this make you lie low. 2d, Let this teach you your need of Jesus.—You need the blood of Jesus as much as at the first. You never can stand before God in yourself. You must go again and again to be washed; even on your dying bed you must hide under Jehovah our Righteousness. You must also lean upon Jesus. He alone can overcome in you. Keep nearer and nearer every day. 3d, Be not discouraged.—Jesus is willing to be a Saviour to such as you. He is able to save you to the uttermost. Do you think your case is too bad for Christ to save? Every one whom Christ saves had just such a heart as you. Fight the good fight of faith; lay hold on eternal life. Take up the resolution of Edwards: “Never to give over, nor in the least to slacken my fight with my corruptions, however unsuccessful I may be.” “Him that over-cometh will I make a pillar,” etc. (1.) He feels wretched.—“O wretched man that I am!” ver. 24. There is nobody in this world so happy as a believer. He has come to Jesus, and found rest. He has the pardon of all his sins in Christ. He has near approach to God as a child. He has the Holy Spirit dwelling in him. He has the hope of glory. In the most awful times he can be calm, for he feels that God is with him. Still there are times when he cries, O wretched man! When he feels the plague of his own heart; when he feels the thorn in the flesh; when his wicked heart is discovered in all its fearful malignity; ah, then he lies down, crying, O wretched man that I am! One reason of this wretchedness is, that sin, discovered in the heart, takes away the sense of forgiveness. Guilt comes upon the conscience, and a dark cloud covers the soul. How can I ever go back to Christ? he cries. Alas! I have sinned away my Saviour. Another reason is, the loathsomeness of sin. It is felt like a viper in the heart. A natural man is often miserable from his sin, but he never feels its loathsomeness; but to the new creature it is vile indeed. Ah! brethren, do you know anything of a believer’s wretchedness? If you do not, you will never know his joy. If you know not a believer’s tears and groans, you will never know his song of victory. (2.) He seeks deliverance.—“Who shall deliver me?” In ancient times, some of the tyrants used to chain their prisoners to a dead body; so that, wherever the prisoner wandered, he had to drag a putrid carcase after him. It is believed that Paul here alludes to this inhuman practice. His old man he felt a noisome putrid carcase, which he was continually dragging about with him. His piercing desire is to be freed from it. Who shall deliver us? You remember once, when God allowed a thorn in the flesh to torment his servant,—a messenger of Satan to buffet him,—Paul was driven to his knees. “I besought the Lord thrice, that it might depart from me.” Oh, this is the true mark of God’s children! The world has an old nature; they are all old men together. But it does not drive them to their knees. How is it with you, dear souls? Does corruption felt within drive you to the throne of grace? Does it make you call on the name of the Lord? Does it make you like the importunate widow: “Avenge me of mine adversary?” Does it make you like the man coming at midnight for three loaves? 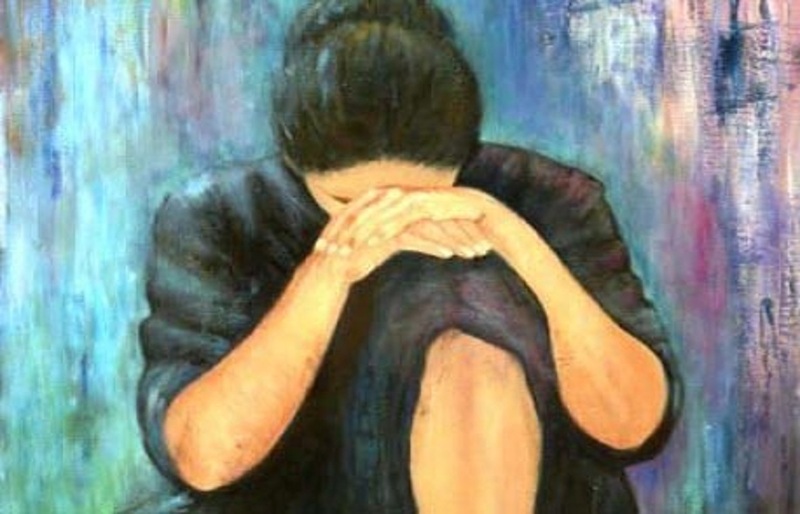 Does it make you like the Canaanitish woman, crying after Jesus? Ah, remember, if lust can work in your heart, and you lie down contented with it, you are none of Christ’s! (3.) He gives thanks for victory.—Truly we are more than conquerors through Him that loved us; for we can give thanks before the fight is done. Yes, even in the thickest of the battle we can look up to Jesus, and cry, Thanks to God. The moment a soul groaning under corruption rests the eye on Jesus, that moment his groans are changed into songs of praise. In Jesus you discover a fountain to wash away the guilt of all your sin. In Jesus you discover grace sufficient for you,—grace to hold you up to the end,—and a sure promise that sin shall soon be rooted out altogether. “Fear not, I have redeemed thee. I have called thee by my name; thou art mine.” Ah, this turns our groans into songs of praise! How often a psalm begins with groans and ends with praises! This is the daily experience of all the Lord’s people. Is it yours? Try yourselves by this. Oh, if you know not the believer’s song of praise, you will never cast your crowns with them at the feet of Jesus! Dear believers, be content to glory in your infirmities, that the power of Christ may rest upon you. Glory, glory, glory to the Lamb! THE transgression of the wicked saith, within the heart of every man to whom God hath given spiritual understanding, that there is no fear of God before their eyes. The formal and fearless approaches unto the Lord in all his ordinances, which have now become so common among professors, ought to say to us, that they have but little of this fear. The beginning, yea, the whole of religion, consisting in a great measure in this holy fear, and being denominated from it frequently in scripture, it cannot but be a sad evidence of the decay of religion, when this fear is so evidently wanting or weak: and therefore, to be exercised a little (if we would in the right manner) in the consideration of this matter, as it is at all times suitable to them to whom the vitals of religion are savoury, so, in a special manner it is pertinent for those, who have the solemn ordinance ensuing in their eye and aim. This word then containeth a very weighty declaration of the dreadfulness of God, under the borrowed term of “a consuming fire.” It is the gracious condescending way of the Holy Ghost, in scripture, to speak of God according to our capacities, and to manifest him by such names and descriptions as may convey to our understandings some sense and knowledge of him. By this word, then, we are to understand, that as fire, and a consuming fire, is a dreadful creature, so when the name of it is ascribed unto God, we are to take notice of his dreadful and terrible nature and majesty. Observation 3. This truth hath a great influence, as a motive and argument, upon our serving of him with reverence and godly fear. The connecting word “for” beareth this. As to the first,—The dreadfulness of God in himself—we may well say of this subject, as Jacob of that place, “How dreadful is it!” Much of the dread of it upon the heart, would enable us to speak and hear of it to better purpose than otherwise we do. We shall not prosecute it as a common-place, or multiply notions concerning it; but would plainly and briefly make it clear from the word. And as the metaphor here doth evidently point out a relation to some object which, as fuel, is in hazard of being devoured by this consuming fire, so, in speaking of this terribleness of God, we shall prosecute it as relating to us. Consider him then, 1st, As in himself; 2d, In his works; 3d, In his ordinances. 1. Consider his incommunicable attributes, which paint forth somewhat of his nature and being—his infiniteness, absolute sovereignty, eternity, independency, and inexpressible glory—and we, poor, finite, dependent beings, at the next door to nothing, lately brought out of nothing by his infinite power, and by the same every moment preserved from returning into it. This infinite distance betwixt him and us, will work dread in every considerate soul. It is a great wonder, that the whole frame of nature is not swallowed up by the glory of his majesty. Upon account of this, Abraham dreads to speak unto him: upon this account, the angels in a holy dread cover their faces; and Job, upon a discovery of this, abhors himself in dust and ashes: from this it is, that no man can see God and live; that is to say, a discovery of God in his majesty, is enough to confound a creature into nothing. “No man hath seen him at any time,” saith he who is God—the Holy Ghost. This his glory is light inaccessible. “Whom no man hath seen, nor can see”—a strange word! Light is that which manifesteth every thing, and yet, it is a cover unto God from the eyes of all creatures. 2. Consider the holiness of his nature. “Holy, holy, holy!” (Isa. 6.; Rev. 4. ): “Thou only art holy,” (Rev. xv. 4). And therefore we, by the unholiness and vileness of our nature, our hearts, and lives, are upon this account as stubble fully dry before him. Is it not a wonder then that He, who is of purer eyes than that he can behold iniquity, doth not every moment consume us who drink up iniquity as water? How can a sinner, then, not fear? 3. Consider this dreadful and holy One as sitting in judgment, and exercising his justice in making laws, and giving sentence against the breakers thereof. “His eyes behold the things that are equal; he sitteth in the throne, judging right.” And here we are to be considered as breakers of his laws from the womb to the grave. Oh! how dreadful is this attribute of God! and how stupid must senseless hearts be! 4. And as this holy just One pronounceth righteous sentences, so there cometh next to be considered his infinite truth in accomplishing, and his irresistible power in executing them. No creature can, either by subtlety or strength, escape His hand. Consider the dreadfulness of this God in his works. The very sight of the glory of the heavens and earth—of the frame of nature, every way admirable—of his ordinary and extraordinary works—ought to stir in us a dread of this God: his ordering of all creatures, his accomplishing of all his purposes, his maintaining of this All—his sovereign distributing of blessedness and misery to men and angels, according to his wise decrees. Heaven and hell are dreadful things, and should awaken our hearts to greater fear. But to come nearer to our present work. How much of his dreadful glory is to be seen in his church, and ordinances in dispensing of them, and the blessing or curse of them. He is terrible out of his holy places, (Psalm 68:35; Gen. 28:17). In his ordinances this consuming fire draws near to us, and we to him, though with offers of mercy and salvation; yet to abusers there is a certain fearful looking-for of judgment and fiery indignation, which shall devour the adversaries. In prayer, we speak to him. Abraham, and Moses, and Jacob,—with what fear are they in this duty! The prophets begin with this, “Thus saith the Lord,” to strike secure hearts with some awe of their Master. Here we hear him speaking to us. Do we communicate?—Damnation, judgment, and wrath are then to stir us up to a careful, heedful way of performing that duty. But it may be said that all this is true; but we, who have a saving interest in this God, need not entertain such impressions. I answer, Happy indeed are they who upon good grounds can say so! Such, indeed, ought not to fear to be ever actually destroyed by this consuming fire. But yet there is a fear called for from such, and this leads us to the second note. 1st, Because only such do know him, and none can know him but they must fear him. It is a most native effect of a discovery of God, to have a holy dread and fear of him. “Men do therefore fear him,” (Job 37:24). Surely the want of fear floweth from ignorance. 2d, The Lord, though in covenant with his people, is still the same God, and in him are all those things which move holy fear. It is true that his justice having received satisfaction from their Surety, shall never break out against them to destroy them; and that, upon the account of their covenant-relation unto him, they may with comfort and delight travel through all the attributes of God, even such as are most terrifying. Yet, notwithstanding of all this, all those things are still in our covenanted God, which are the grounds of fear and reverence. 3d, And as He is still the same, so we are but very little changed, and there is but a little of that removed that lays us open to destruction from this consuming fire. It is true that there is a change in the state of believers in their justification and adoption, which is a begun change in their natures in sanctification; yet still they are creatures—still there is much unholiness in their hearts and lives, and all sin in itself is equally hateful to God, and contrary to his holy nature; still they are under his holy law, and bound to obedience, though not as a covenant of life, yet as the rule of their life; still they are in hazard of his anger (though not as an unappeased enemy, yet as an offended father), and of the fruits of it, upon their breaking of his laws. 4th, The experience of the Lord’s people who have felt somewhat of the wrath of God upon their own hearts for sin doth prove this, and calleth for fear. Not only at first conversion, when by a mighty hand He makes a conquest of them, the design whereof, though it be great mercy and salvation in his heart, yet his way of managing it towards many proclaimeth that anger in his face, and strokes in his hand; but after conversion, many experiences have the saints of the dreadfulness of God. It was so eminently with David, (Psalm 102 and 51:5). The saints have some attributes of God to move fear and dread, which others have not: his goodness, love, pardoning and healing mercy, the manifestations of that love and mercy (Hos. 3:5, Psalm 130:4),—unto a considerate soul, how ready are these to stir up holy fear and dread! The application and use of this doctrine the Holy Ghost here maketh, which is our third note. Observation 3. The dreadfulness of God ought to enforce a reverent and holy fearful way of serving him. This is evidently the scope of the Holy Ghost, in bringing in this reason to back the former exhortation. So Psalm 2:11, “Serve the Lord with fear, and rejoice with trembling;” and, in the next verse, it is backed with the same argument; because there is burning wrath in him, gross sinners are in hazard of being destroyed; and this is said to be in the Son, the Mediator. And in general, this sense of the dreadfulness of God, calleth for these three things in our way of serving him. 1. In all our approaches to him, and in all His approaches to us in his word or works, to have, and keep up upon the heart, a due deep sense of the infinite distance that there is betwixt him and us; and of his glory and majesty, and our vileness and nothingness. We find frequently in Scripture, that the more near the Lord did draw to his people, even in gracious communications of himself, the more of this was upon their hearts. How did the Lord’s condescension to Abraham humble him? How did his merciful proclaiming of his name to Moses humble him? So was it with David, (2 Sam. 7:18). Have a care that you forget not yourself, when he admitteth you to nearness to himself. 2. A second general observation in our way of serving of him, which this dread should stir us up unto, is, always to approach unto him, and converse with him, in the Mediator. Without this, there is no possible escaping of being consumed in our approaches unto him. This is a blessed act of holy fear, and is of great concernment unto our safety. Not only in our first reconciliation with God we must have Christ with us, but we are to abide in him; to put him on as our apparel, as our armour to defend from wrath; and always to dwell in him, and to have him dwelling in us. 3. In all your worship and walk, beware especially of sin. This is the very throwing of ourselves into this fire. It is sin which mainly makes us as fuel before this fire: it is upon the account of sin that ever the Lord did break out, to destroy and consume any. But before we come to the more particular application of those truths, we would obviate some objections that may arise in the heart against them, the clearing whereof may give some light and understanding in the matter in hand. 1. It cannot be denied but that such is the weakness and infirmity of the Lord’s people, that it is hard for them to distinguish the boundaries betwixt some graces in their actings; so that when the love and favour of God are borne in with power upon their hearts, to the filling of them with joy, it is no easy matter to keep up holy fear in exercise; and when his holiness and majesty are manifested, it is hard not to find some abating of love and delight. But this floweth from our own infirmity and weakness, and not from any opposition betwixt these two graces. And the infirmity which is the cause of this, is twofold: First, The infirmity of grace, and the weakness of the new man even in the best; and their having the old man in some vigour and power yet remaining. This, as it keepeth the best from such an intense and vigorous acting of any grace as is called for, so it disposeth them, to make different graces to clash one against the other. To instance it in the particular in hand—when the Lord by the breathing of his Spirit, and the manifestation of himself, doth draw out the soul to act the grace of holy fear and dread of God, unbelief, which in some measure remaineth with the best, is very ready to render that prejudicial to the acting of faith and love, by misapplying of the discovery of his dreadfulness, unto the stirring up of a doubt of his love and favour unto such vile ones as we are. And on the other hand, when he draweth near to fence the soul with consolations, and the sense of his favour, it is ready to forget itself, and the sense of his greatness—which greatness and majesty of his, though they be nothing abated by his gracious condescension to the soul, yet is the soul ready to esteem it so, because in a great measure even the best are ignorant of God. And therefore it is no wonder, since the best find such a difficulty in reconciling in their thoughts these attributes of God, which to our shallow understanding seem different—as his justice and mercy, majesty and love—that it should also be very hard not to make these graces clash together which act upon these different objects—the attributes of God. But, secondly, The infirmity and weakness of our very constitutions have some influence upon this; for the graces of the Spirit being seated in our souls, and in the actings of them the powers and affections of the soul being increased, it is no wonder, since our souls are not capable of acting strongly with different affections, nor able to entertain an impression of fear and dread in an intense degree, which is not prejudicial unto that of love and joy,—that even upon this account, we are in hazard of making the actings of different graces prejudicial, and in a manner opposite unto one another. But we shall not stand on this. I answer, 2. That there is no such fear of God called for from the doctrine of his majesty rightly understood, as is any way legal, or opposite unto faith and love: for it is deep heart-reverence and holy awe that are called for, which, as we find in some measure in the kindly affections of children to their parents, is very well consistent with love, and trusting them with the care of all their movements. So also is it very well consistent in the Lord’s people with faith in, and love unto him. And therefore, when we read of the fear and fearers of God in scripture, we are not to take it, as holding forth that passion of fear which is an apprehension of some ill coming; but rather, this reverence and holy awe, which may be, where there is no fear of wrath as coming. And so, here, the serving of him acceptably, with reverence and godly fear, upon the account of his being a consuming fire, though the exhortation, as it concerns the visible church, ought not to be taken as exclusive of the fear of consuming by him; (since many in the church are enemies to God, and so, are commanded to fear that, as a mean to make them submit unto him:) yet, as it is an argument pressing the regenerate to reverent service of God, (which is the scope of the Holy Ghost here,) it imports no ground of such an unbelieving fear, in them who have fled for refuge, to lay hold upon the hope set before them. 3. I answer —That though these things, reverence and love, be not inconsistent, yet are we at some times, and in some cases, called more to the exercise of the one than of the other: so that as a disconsolate soul is warranted to be more in the meditation of the mercy, and love, and condescension of God, that thereby the heart may be stirred up to act faith and love, for the removing of that distemper; so, a secure and backslidden saint, is called in such a condition, to the meditation of God’s holiness, majesty, and hatred of sin, that thereby he may be stirred up unto repentance, and returning to God. Not but that there is much need of the anointing which washeth all things, to instruct us in the way of duty here; nor that the Lord doth not sometimes recover backslidden souls, (as at first he occasionally converts some,) by a sovereign merciful leading by the bands of love. But we find this the Lord’s ordinary way in scripture of dealing with his people, of mixing threatenings with promises, and manifestations of his holiness and justice with those of his mercy; and thus, to distribute to every one their portion. And according to this is his ordinary method with his own, as their experience can testify. But that we may also answer an objection which may be in the heart, though not avowed—it may be said, That there are not now such proofs of the dreadfulness of God in his dispensations, as were formerly in the Old Testament, when many immediate judgments were poured out upon sinners. 1. Look by faith down to hell, and all such objections would for ever evanish. 1. We see what a doleful condition those are in, who are not in Christ, and have no saving interest in this dreadful God. His holy nature makes him hate them; his justice pronounceth sentence against them; his truth and power execute it. Every moment’s breath they draw is from his patience. They are as dry stubble before this consuming fire. Oh, if it were but believed, what work upon hearts would it raise! 2. And as it is thus with them, so we should learn to lament over the sins of the Church of God in these days; and over our own hearts, wherein are such evident tokens of the want of, or at best of the weakness, of this holy dread. I shall name only some plain proofs of it, which as they flow from the want of the due impression of his dreadfulness, so, where it is, they are in a great measure removed—which may both make this grace of fear more desirable, and the want of it more hateful. 1. From this floweth, as a sad proof, the disorderly loose walk of the greatest number of professors. How many fools are there now who make a sport of sin? And what is this, but to sport with a consuming fire? Strict walking with God, keeping up a watch over the heart, ordering the tongue in savoury and edifying discourse, accurate, exact, and circumspect walking, are reduced into notions by the far greater part. And whence floweth all this, but from ignorance of Him with whom we have to do? How rare is the power of religion, and the shining of it, in the conversations of Christians! 2. Consider the manner of worship of many, and examine your own. When many come to pray, they rush irreverently unto the work, and carry themselves so in it as if they were coming to present a compliment, or, at best, to discourse with a man like themselves. How rare is it to feel the heart deeply pressed with the sense of that dreadful majesty to whom they make the address! Come they to hear the word? Many carry themselves as if their only errand were to get a proof of the parts and gifts of the speaker, or to get more brain-knowledge, that they may be more qualified to talk of the matters of God. And oh! how few who take heed how they hear,—who come to get a message delivered to them from the living God, and who tremble at the word! And all this cometh from the want of the due fear of God, who in that ordinance speaks to them. How do many approach unto God in the sealing ordinance? Holy fear of receiving unworthily, and the dreadful plagues that follow upon it; preparation made conscience of, is not every one’s exercise that sitteth down at that holy table. And this floweth from the want of the due impression of this, that it is one of the most solemn approaches that the Lord maketh to us, and that we make unto him. If the fear of taking his name in vain in that ordinance were upon the heart, there would be seen another sort of work in preparing for it than is commonly to be seen. 3. 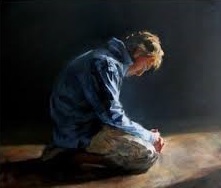 And in as far as heart-exercise may be guessed at, by the manner of walking and of worshipping God, we may lament that in all appearance this is in a great measure gone, and all because of the want of the due fear of God. And in reference to this, I would only pose you with these questions, and let the conscience of every one answer them to the Lord, who speaketh to them from heaven. 1. What find you of a constant care of keeping up constant communion with God, walking as in his sight, taking his law for your rule in all your ways? If this be gone, you are at a great loss: Herein lies a great part of the lively exercise of religion. Take you godliness to be no more than an outwardly blameless conversation and frequenting of the ordinances? This is a gross mistake. 2. If you have convictions of your shortcoming, what do you with them? Do you quench or entertain them? Surely the security and sleeping of many, even within the reach of this consuming fire, doth proclaim that there is little fear of him: fear would set us to our feet, and make us haste to escape. 3. Wherewith do you entertain your affections throughout the day? What is it that hath the flower of your thoughts in the morning, and the last at night? Is it God? or somewhat which you would be ashamed to name to a man like yourself? How can the fear of God be in that man, we may say, as John of the love of God in another place. 1. Strive for the knowledge of him. It is the ignorance of God that is the most universal cause of all the sin and misery in the world, and in the church. It is a hard matter to convince many of their ignorance of God; and why? Because they can answer some questions anent his nature, and the persons, and anent his attributes. And yet they demonstrate their ignorance by their want of fear in their walk and worship, for it is impossible to separate the knowledge and fear of God. 2. Remember that both are premised in the well-ordered covenant, and therefore it is your part to plead those gracious promises (Jer. 31. and 32.; Ezek. 36. ), and patiently and believingly wait for the accomplishment of them. 3. Converse much in the serious meditation of him,—a duty which of all is the most clear token of a lively serious Christian. What wonder is it to see one fearless of God, who doth rush on in his course, as the horse doth into the battle? But let a man set aside some time every day, or in the silent watches of the night, to muse and think again and again of God, and of what is revealed of him in his word and works, and let the heart be exercised therein, and you will find light and life flowing in upon your soul; you will find the holy fear of that glorious One quickening your soul. 4. Beware of every thing which hardeneth your heart against his fear; not only all sin in the general, but those things in particular which you find in experience most to influence your hearts to stupidity. Every soul exercised in searching himself will know what is his own iniquity. And in all, and with all, be sensible of the work being above your own strength; and that, though you be called to some views of duty, in reference to the obtaining of this fear of God, yet this is only to put you in God’s way wherein he ordinarily meeteth his own. But you must be endued with power from on high: there must be an impress of his own hand upon your heart, to bring out this grace to exercise. Pant, therefore, for it, and wait on him, and he will manifest his glory unto you, and stir up this holy fear in you.